MXQuery now also runs on Android, providing the full functionality and platform integration. With the merge of XQIB into the MXQuery upstream, we have decided to provide access to the SVN repositories and the continuous integration servers, as to provide more access and invite more participation. Install XQDT as outlined on the XQDT web site. XQDT 2.2 does not bundle any implementation, so please download and unpack MXQuery normally. In Eclipse, go to the Window menu, choose Preferences. 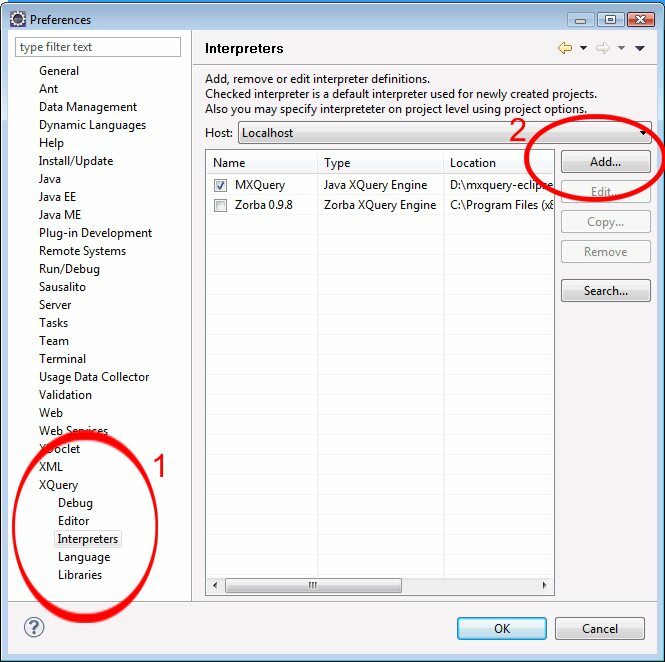 In the preferences dialog, choose XQuery, and then Interpreters. After a long period of internal development, MXQuery 0.6.0 has been released.